Most jobs in our national economy require the worker to use their hands in some form. Whether they are performing an office job or a labor job requiring heavy lifting, the ability to use one’s hands is extremely important for gainful employment. For this reason, a severe impairment affecting a claimant’s ability to use their hands can be disabling. Can I Receive Disability Benefits Based on my Sleep Disorder? There are numerous sleep disorders that can be disabling. Narcolepsy, insomnia, and sleep apnea are just a few sleep disorders that we often see our claimants suffering from on a daily basis. The symptoms associated with sleep disorders can vary depending on the conditions, its severity, and the medications used to treat the disorder. In evaluating a claimant’s allegation of a disabling sleep disorder, SSA will review the medical evidence to determine what limitations these conditions would cause on basic work activities. A doctor once said to me “Everybody diagnosed with cancer gets depressed.” I cannot speak for everybody. I know I got depressed after my diagnosis. Facing illness, whether it is acute like cancer or chronic like arthritis, can be depressing. The National Institute of Health (NIH) acknowledges, as do most health professionals, that chronic medical conditions can lead to any number of depressive symptoms and disorders. Depression is one of the most common complications of chronic illness. 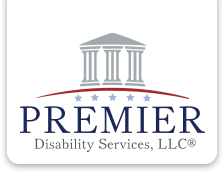 We often see this with clients at Premier Disability.